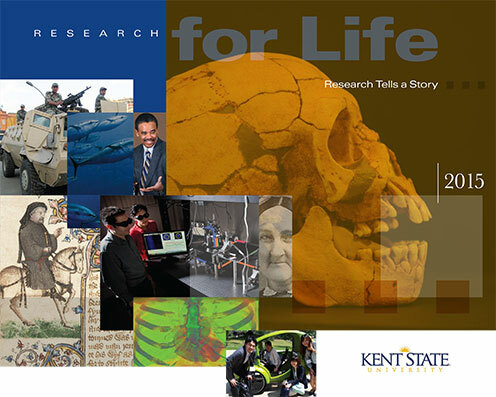 The 2015 Research for Life magazine explores how great research tells a fascinating story. The stories in this issue ask such diverse questions as: Why does the Civil War continue to fascinate us, 150 years later? What can we learn from big data? How does where you are born affect your life story? What can new 3D imaging techniques tell us about the progress of disease? How did an accidental discovery in the lab lead to the launch of a new company? Follow these stories and more. Robert Clements, Ph.D., is developing new imaging techniques that give a 3D or even 4D look deep inside the brain and body, giving new insights to researchers and clinicians. See the video and read the story. Linda Spurlock, Ph.D., sharpens her pencils when the coroner calls. An anthropologist and forensic artist, she is at home sketching crime victims’ faces from skull remains and reconstructing the pelvis of the 4.4 million-year-old Ardi skeleton.